There are lots of people nowadays who want to deny Jesus’ birth, or at least cast doubt upon it: where and when and why it was. They prefer to argue that Christians have just made it all up. Why? Because they feel threatened by it. They want to ignore Jesus, who and what he is, what he does, and the claims he makes. They are threatened because He is the King of Israel, the Universal King. He is our Saviour and our God. He brings life, and asks us to follow Him. He’s dangerous and revolutionary. Far better to tame Him, or ignore Him. But that won’t do! The opening words of Isaiah 60, ‘Arise, shine, for your light has come, and the glory of the Lord has risen upon you’ (Isa 60:1 ESV) foretells the star which leads the Wise Men to Jesus. It shines as a light in the darkness, and points to Him who is the light of the World, a light which the world cannot understand or overcome. He is the Light of the World, in Him our salvation has arisen, a light which can never be put out. The nations shall come to His light, Christ is made manifest to the gentiles, made clear, and obvious. Kings come to the brightness of His rising, and they bring gold, and frankincense, and myrrh. 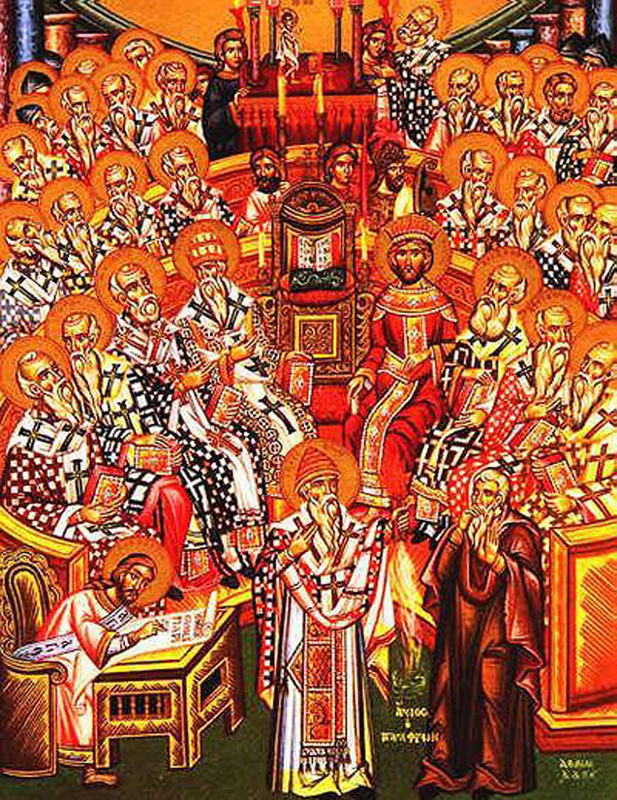 They come to honour Christ, who is priest, prophet, and King. They come to worship God made man; they come to pay their homage to the Saviour born among them. They come with camels and bringing gold and frankincense to worship their king and their God. They come to Bethlehem, and not to a royal palace, or a throne. This is what true kingship is, true love, that of God and not of humanity. The Wise Men in the East saw a conjunction of the planets Jupiter, Saturn and Mars in the constellation Pisces, which was believed to represent the Jews , which coincided with a comet moving in the sky. So, on the basis of their observations they travelled hundred of miles to Israel, the land of the Jews, and go to the royal palace in Jerusalem, to find out what is going on. Creation announces, through the movement of the stars and planets that something wonderful is happening. So let us rejoice like the Wise Men, let us come like them to kneel before the Lord, born in our midst. The Wise Men come and kneel and they worship and adore the Lord of creation and the Word of God Incarnate. The King of all is not in a Palace but in a simple house in Bethlehem, and He meets us here today under the outward forms of Bread and Wine, to heal us, to restore us, and to give us life in Him. Let us come before Him, offer Him the gifts of our life, and our love, and our service so that we may see His Kingdom grow. The basic and most fundamental problem of the spiritual life is the acceptance of our hidden and dark self, with which we tend to identify all the evil that is in us. We must learn by discernment to separate the evil growth of our actions from the good ground of the soul. And we must prepare that ground so that a new life can grow up from it within us, beyond our knowledge and our conscious control. The sacred attitude is then one of reverence, awe, and silence before the mystery that begins to take place within us when we become aware of our innermost self. In silence, hope, expectation, and unknowing, the man of faith abandons himself to the divine will: not as to an arbitrary and magic power whose decrees must be spelt out from cryptic cyphers, but as to the stream of reality and of life itself. The sacred attitude is then one of deep and fundamental respect for the real in whatever new form it may present itself. The secular attitude is one of gross disrespect for reality, upon which the worldly mind seeks only to force its own crude patterns. The secular man is the slave of his own prejudices, preconceptions and limitations. The man of faith is ideally free from prejudice and plastic in his uninhibited response to each new movement of the stream of life. I say ‘ideally’ in order to exclude those whose faith is not pure but is also another form of prejudice enthroned in the exterior man — a preconceived opinion rather than a living responsiveness to the logos of each new situation. For there exists a kind of ‘hard’ and rigid religious faith that is not really alive or spiritual, but resides entirely in the exterior self and is the product of conventionalism and systematic prejudice. The Prophecy of Isaiah is rightly called the Fifth Gospel. More than any other text in the Jewish Scriptures, the Old Testament, we see presented the Messianic hope, a hope fulfilled in Jesus Christ. Through his prophet God tells his people to maintain justice, to do the right thing for the right reasons, that salvation is coming, and that right soon. The promise and the hope is not just for Israel, but for anyone who joins themselves to the Lord, who love His Name, and keep His sabbath. God further declares that ‘His House shall be called a House of prayer for all peoples’ words which Jesus will use when cleanses the Temple of its money-changers. God is one who gathers the outcasts and more besides. The Apostle Paul was born a Jew, trained in the law, a pharisee of the school of Hillel, who knows God to be faithful, but whose life’s work was to proclaim the Good News of God’s Kingdom to Gentiles, to non-Jews, as God is merciful to all, He loves everyone, and longs to see us reconciled to Him, and each other. This morning’s Gospel shows us a woman in need. Her daughter is seriously unwell, she’s desperate. She turns to Jesus and begs Him, ‘Have mercy on me, Lord, Son of David; my daughter is tormented by a demon.’ She is respectful, and polite, but Jesus ignores her. Then the disciples urge Him to send her away, she’s a pain, she’s a Caananite, a Syro-Phoenecian, a foreigner, she’s not one of us. Jesus answers the woman, ‘I was sent only to the lost sheep of the house of Israel.’ And up to this point Jesus’ ministry has focussed on Jews, and would seem to be exclusive to them. She comes and kneels before Jesus, she is completely dependant upon Him. All she can do is to cry out, ‘Lord, help me.’ And even then Jesus replies, ‘It is not fair to take the children’s food and throw it to the dogs.’ His words sound harsh, rude and xenophobic, but for a first century Jew they were not strange at all, they were normal, they were expected of the Chosen People, who had forgotten the words of Isaiah. The woman, however, is not put off, she is persistent, and she uses Jesus’ words against Him: ‘Yes, Lord, yet even the dogs eat the crumbs that fall from their masters’ table.’ She demonstrates complete trust in God, and her attitude is one of worship. And so ‘Jesus answered her, ‘Woman, great is your faith! Let it be done for you as you wish.’ And her daughter was healed instantly.’ In an instant it is all sorted out. Such is the power of FAITH. Jesus Christ was never afraid to court controversy, or to challenge a religious hierarchy. Generally speaking it’s the Pharisees who tend to get both barrels so to speak. Jesus has a problem with hypocrisy: when what we say and what we do don’t match up. The Pharisees are so concerned with outward conformity to the letter of the Law of Moses that they have forgotten what the spirit is. While they stress the need for outward purity in terms of hand-washing, they need to remember that what is far worse is how what people think and say and do affects who and what they are. In their rigid outward conformity they have forgotten that at a fundamental level the Law of Moses needs affect our lives and to be lived out in them. Like the woman in the Gospel we need God’s merciful love to be poured out upon us, we long for healing, and we do so through the Eucharist, the Sacrament of Our Lord’s Body and Blood. Like her we need to recognise that Jesus is the Messiah, the Son of David, and that while we are not worthy, nonetheless God loves us and heals us. 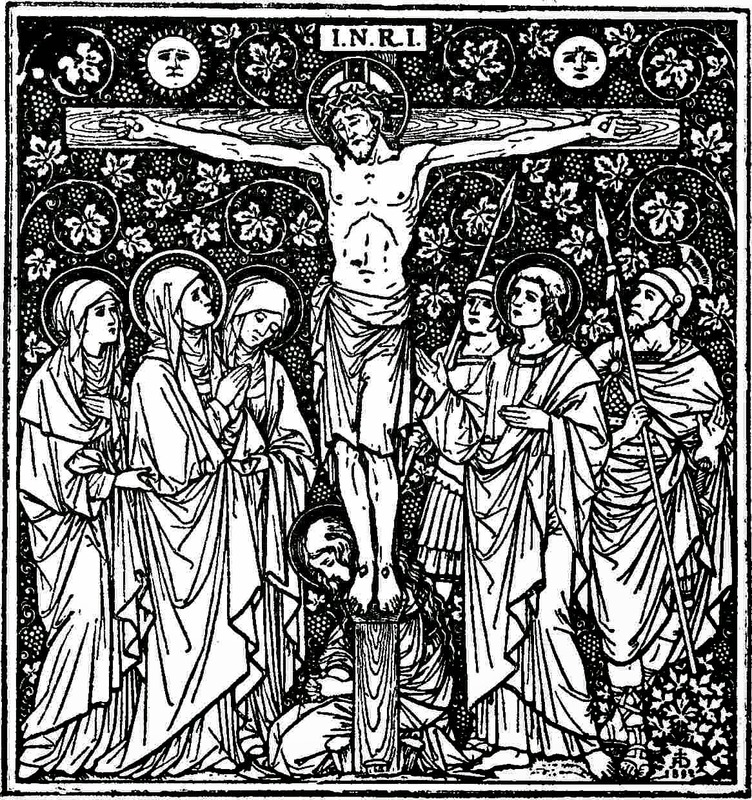 We are healed by the wounds of Christ on the Cross at Calvary, where His Body is broken and His Blood is shed for us, for you and me. We are fed so that we might be healed, to strengthen us to live out our faith together, not in outward conformity, keeping up appearances, for the sake of propriety, but so that we can be healed, and helped to live out our faith together. That filled with joy we might share our faith with others, so that they too may come to believe and give glory to God the Father, God the Son, and God the Holy Spirit, to who whom be ascribed as is most right and just, all might, majesty, glory, dominion and power, now and forever. The community founded here by St David was a monastic community, which looked to the Desert Fathers and Mothers of Egypt and the Levant as their source and inspiration: as it was here that through prayer, the recitation of the Psalms and of the reading of Holy Scripture that their common life was formed. There is a little bit of the Egyptian desert here at least in spirit. 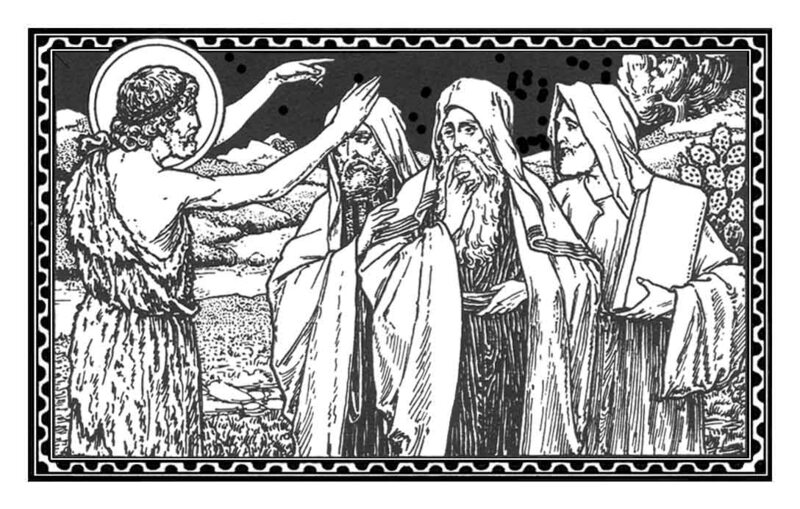 There are those who would wish to characterise Christianity in general and monasticism in particular in negative terms, as gloomy, focussing on what one cannot do, and yet when we consider the parting advice of St David to his followers, he began with ‘Byddwch llawen’ ‘Be joyful’ just like the Desert Fathers quoted earlier. The Christian vocation then is one of JOY, we are to be joyful Christians, joyful in the knowledge that God loves us, that God died and rose again for us. To have the humility to accept the fact that God loves us, not because we are loveable but so that we might become so, requires that we circumcise the foreskin of our heart, or perhaps more literally ‘cut away, therefore, the thickening about your hearts and stiffen your necks no more’ (JPS Tanakh). The advice given in Deuteronomy 10-11 has at its heart the gentleness and generosity which lies at the heart of the Christian faith, in the same way that St Paul despite many trials and tribulations en route to his eventual execution in Rome remains joyful and generous. This is how we live out our faith in our lives, not jealously guarding our faith as some treasured possession too precious to be sullied or shared, but by recognising that such things were given to us freely, and so should be likewise shared freely. We can be serious, as after all there are souls at stake, it is a serious business, but not so much that our seriousness of purpose and resolve should ever overshadow the generosity and joy inherent in our loving God and our neighbour. 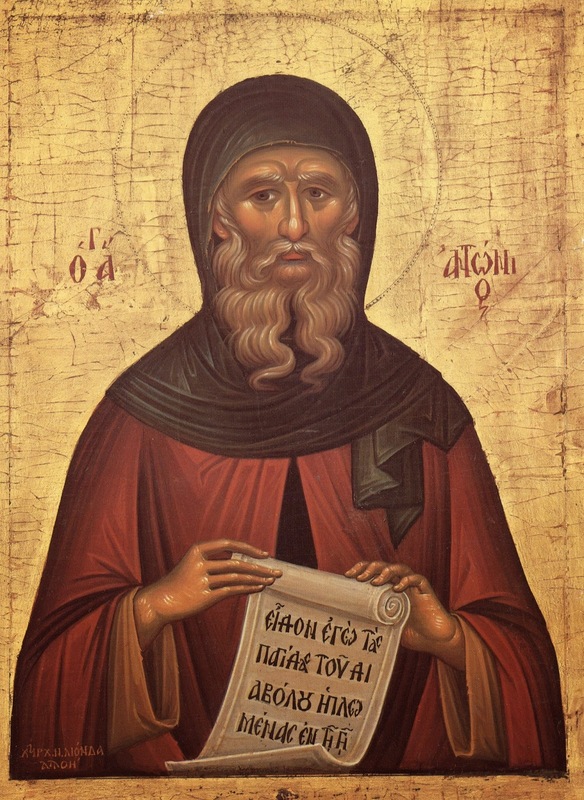 The Christian life may be many things but it is certainly rarely easy, which is why it needs to lived together by a community of faith, so that we can support each other when times are tough, as St Antony the Great said: ‘Our life and our death is with our neighbour. If we win our brother, we win God. If we cause our brother to stumble, we have sinned against Christ.’ How we support each other is how we live out our faith in our lives, and how we as Christians convert others – actions speak louder than words – and if our faith affects who we are and what we do and how and why we do it then it will be attractive, it cannot fail to be – hence the need for joy, given that one may catch more flies with honey than vinegar. It is the joy of being loved by a God whose service is perfect freedom. This is the pearl of great price, and the heart of the Gospel, so let us live it together in love. Oh No! It’s a parable about money. Does it mean that the vicar is going to keep on about the Parish Share and the state of the Diocesan Finances? Well I’m sorry to disappoint you, I’m not. I just thought that I’d clear that one up right away, just to put your minds at rest, so that we can get on with the task of drawing closer to the word of God, and to be nourished and strengthened by it. Reading Holy Scripture, the Bible, can be a strange affair: sometimes it fills us with joy, sometimes it just leaves us confused. Speaking personally, I find the parable of the talents troubling, mostly because I tend to feel rather like the slave who was given one talent and who hid it in the ground. That may well be my own sense of unworthiness informing my reading of the passage, which reminds me of the need in all things to trust in God, and for his grace to be at work in me. The judgement thankfully is not my own, but rather God’s – a loving father who runs to meet his prodigal children. This is a God we can trust, who wants to see us flourish. No parable has been more misused than Jesus’ parable of the talents. Once a parable is abstracted from Jesus proclamation of the kingdom of God, once it is divorced from its apocalyptic context – pointing to the future, such misreading is inevitable: speculation begins, for example, about how much talent might be or whether the Master’s observation that the money could have been put in a bank might mean that Jesus approves of taking interest. Speculative uses of the parable have even been employed to justify economic practices that are antithetical to Jesus’ clear judgement that we cannot serve both God and mammon. After all, money is a means, and not an end – which is where we and the world often go wrong. Jesus is not using this parable to recommend that we should all work hard, make all that we can, to give all that we can. Rather, the parable is a clear judgement against those who think they deserve what they have earned as well as those who do not know how precious is the gift they have been given. The slaves have not earned their five, two, and one talents. They have been given those talents. In the parable of the Sower, Jesus indicated that those called to the kingdom would produce different yields. These differences should not be the basis for envy and jealousy, because our differences are gifts given in service to one another – so are the talents given to the slaves of a man going on a journey. It is not unfair that the slaves were given different amounts. Rather what is crucial is how they regarded what they had been given. The one who received one talent feared the giver. He did so because he assumed that the gifts that could only be lost or used up. In other words the one with one talent assumed that they were part of a zero-sum game – if someone wins, someone else must lose. Those who assume that life is a zero-sum game think that if one person receives an honour someone else is made poorer. The slave who feared losing what he had, he turned his gifts into a possession – it was a thing, and it was his thing. But by contrast, the first two slaves recognised that trying to secure the gifts that they had been given means that the gifts would be lost – so they use the gifts for the glory of God. The joy of the wedding banquet is the joy into which the Master invites the slaves who did not try to protect what they had been given is the joy that comes from learning to receive the gift without regret, without fear – simply humbly, joyfully and lovingly. The parable of the talents just like the parable of the five wise and five foolish bridesmaids are commentaries on the slaves who continue to work, who continue to feed their fellow slaves, until their master returns – they are parables which teach us how to be a church of loving service. Each of these parables teaches us to wait patiently as those who have received the gift of being called a disciple of Jesus. Jesus’ disciples are not necessarily called to great things. Rather, Jesus’ disciples are called to do the work that Jesus has given us to do: our work is simple and it is learning to tell the truth and love our enemies. Such work is the joy that our Master invites us to share. It is in doing this work that we are separated – sheep from goats. Last week the Gospel presented us with two people, a Pharisee and a tax-collector: one was a religious expert, a pillar of society, the other someone hated and despised. And yet, on the inside they were completely different – one was self-righteous, arrogant and full of himself, the other knew his need of God’s love and mercy. They show us what not to be and what we should be, and this week we see another one. Zacchaeus is a chief tax collector; he is someone who was hated, who has got rich by over-charging people. He starts off just being curious – he wants to see what all the fuss is about, he wants to see Jesus. He can’t see over the crowds so he climbs up a sycamore tree. When Jesus sees him, he tells him to come down quickly as Our Lord has to stay at his house today. He hurries down and welcomes Jesus with joy, he’s glad to see Him, to welcome Jesus into his house. The crowd are a bit miffed – they say, ‘Ooh … look at Him, what’s he going to that man’s house for?’ They just can’t see beyond outward appearances, they judge him – they just see a sinner, they don’t see someone who wants to see Jesus and love Him. The simple presence of Jesus has a transformative effect on Zacchaeus, he gives away half of his property to the poor and promises to repay those whom he has defrauded and to give them compensation. The Son of Man has come to seek out and save the lost – to show people that there is another way. This is the love of God in action – this is what happens on the Cross – God shows us the transforming power of His love, love shown to the un-loveable, so that they might become lovely. It is an idea which can be found in scripture – this morning’s first reading shows us that God is loving and merciful, and that God’s love and mercy can have an effect on our lives, if we trust in Him, if we invite Him in, so that his transforming love can be at work in our lives, and ‘may make you worthy of his calling and may fulfil every resolve for good and every work of faith by his power, so that the name of our Lord Jesus may be glorified in you, and you in him, according to the grace of our God and the Lord Jesus Christ.’ (1Thess 1:11–12) It is through God’s grace, an undeserved gift, that people like Zacchaeus can be transformed, transformed by God and for God, and what was true for him is true for us, here, today. That is why, as Christians, we pray, why we come to Mass each and every week to be fed by word and sacrament, so that God’s grace and transforming love may be at work in us, transforming our nature, making us more like Him. Everything that we say or think or do in our lives needs to be an outworking of our faith, so that our exterior life and our interior life are in harmony with each other – so that our lives, like St Paul’s, may proclaim the Gospel. This is what we are called to, and how we are to live. Unless we start from the point where we know our need of God and rely upon him, where we too make that space where God can be at work in us, in our souls and our lives, we are doomed. Living as we do in difficult and uncertain times it is all too easy to become downcast, to let the cares of the world, our worries and our frailties get us down. It can be all too easy not understand quite what God may have in store for us. We can be like Mary and Martha perplexed at why Jesus does not come immediately, why he goes away, only to return once they fear all hope is lost. Lightness of spirit is related to Redemption, for it lifts us out of precarious situations. As soon as a priest goes in for revolutionary tactics in politics he becomes boringly serious. This world is all there is, and therefore he takes political involvements without a grain of salt. One rarely sees a Commissar smile. Only those who are ‘in the world, not of it’ can take events seriously and lightly. Joy is born by straddling two worlds – one the world of politics, the other of grace. In this evening’s first lesson we see the people of Israel celebrating. They are told to ‘Eat the fat and drink sweet wine and send portions to anyone who has nothing ready, for this day is holy to our Lord’ (Neh. 8:10). There is something about feasting and rejoicing which is good for the soul, the Christian faith should never be dour or miserable, we proclaim Good News to all the world. There is also the instruction to give to those who have not. Our faith is something which needs to be put into action – it requires a generosity of spirit, of showing love and care to all those around us – to care for the spiritual and physical well-being of our fellow men and women. This generosity and care, like that of God for us, forms the church into a community of love, a place where people may have an encounter with the living God, and through His Holy Spirit receive joy and peace. As Christians it is up to us to help make this a reality here and now. We live in the expectation of Our Lord’s Second coming, so surely we should be doing what he tells us, living out our faith in the world, so that it may believe. Our lives need to be attractive, and filled with joy, freed from the cares of this world, freed to sing God’s praise, freed to share his love with others. As people rooted in the joy and generosity which characterise the love of God, shown to us in Christ Jesus Our Lord, we can all be truly joyful, knowing that the joy of the Lord is our strength. Our strength as the people of God comes from Him who saves us out of love, who commands us to feast (as well as fast) a feast we celebrate day by day and week by week when we feed on the Sacrament of Our Lord’s Body and Blood in Holy Communion, to be strengthened body and soul to love Him and serve Him, and to live out His joy in our lives. It really is the most wonderful thing, it should leave us with beaming smiles and joyous expectation to share the love and joy with others. So let is live out our vocation, to be joyous Christians, servants of a loving God, to the praise and honour of his name.